Hi to all you dopey conservationists (no offence ha ha). My name is Bruncher Badger and I’ve been asked to write a guest blog for Grumpy. Now you conservationists have been very kind to me, so I thought I would give something back in return. 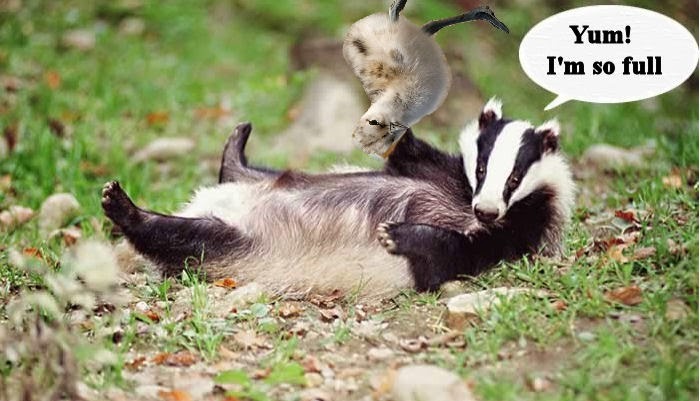 The way you stood up for me against that despicable Owen Paterson has been a source of great joy for us badgers. And that Brian May is great also. I’ve always liked him since I had a sett under the floorboards of the Hammersmith Odeon back in 1972. Him and his mates had a good little support band. Not as good as the great Mott the Hoople though! Anyway, back to the point. I gather that there were a few gasps of surprise after that footage of me eating my breakfast on Springwatch. Guess how I got my name – I ‘brunch’ on your baby birds ha ha brilliant. 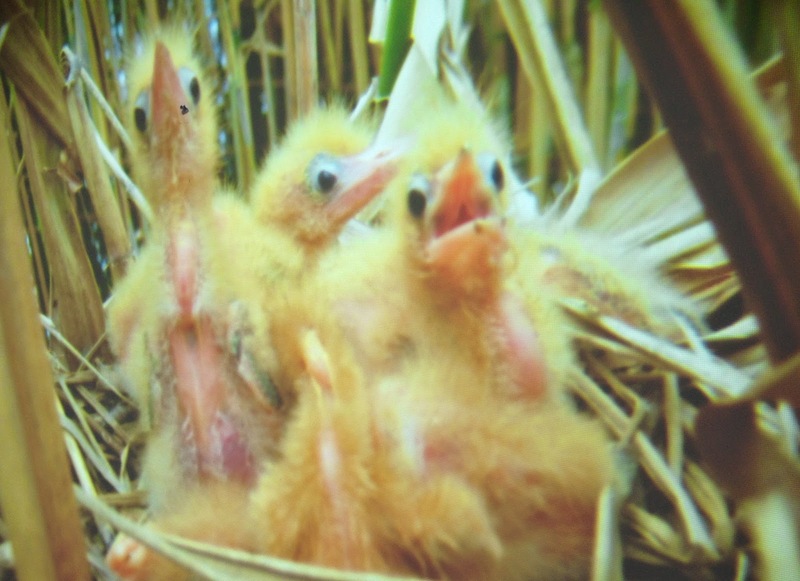 Hey, to us, wader chicks are nature’s little biscuits and we love’em. They are a nice crunchy change to the usual boring old worms. Even that very nice, clever Mr Packham (didn’t he do well on Malta!) noticed the calorific value of that snack! Mind you I couldn’t eat more than 30 chicks in a sitting ha ha. Anyway the point is; what do you expect? You create excellent concentrations of ground-nesting birds on your nature reserves and then you expect me and my mate Freemeal Foxie to keep away. Well I’ll tell you; we’ll walk miles to get at these super cafes. You set up nature reserves around the place and provide food for us. Lovely. Don’t you even seem to think about what’s happening when bird numbers begin to decline. Normally we have to search around for what we can find, but you dumb conservationists concentrate it in one place for us, year after year. We nip in and out when you’re not looking and polish them off. We’re not even members ha ha ha! There’s even one Wildlife Trust site where they kindly guard the Avocets so those nasty men don’t pinch the eggs and then we can come along to munch up those tasty chicks for our breakfast. We call them Shredded Tweet or Tweetabix Ha ha geddit! And funnier still, you think we can’t swim! Ha ha. Did you see me in my speedo’s at Minsmere? You lot need to be thinking a lot cleverer about how you manage sites. Why don't you move birds around by rotational management, turning sites 'on and off' and making it more difficult for us to find all that lovely food? Anyway, as I said, I’m here to return a favour. Those dopey ecologists of yours, the ones that you don’t listen to, they know a trick or two to slow us down. They have a design for an electrified anti-predator fence that keeps us out. You ask those guys down at Otmoor, we 've never managed to get through their fence. See my photo below. But even then, when you are given the design, you think you know better and modify it. You put the offset wire in the wrong place or space the live wires wrongly. We think it’s hilarious as we skip over the fence. My mate Freemeal Foxie knows all the tricks for getting over. Anyway, you need a combination fence (stock fencing plus live wires) of at least 1.5m, buried into the ground at least 25 cm. The livestock fencing should be 1.25m high with a 6-8cm wire mesh. There should be 2 live wires above the fence; at 1.15m and 1.45m, with an earth wire between them at 1.3 m. The fence needs a live wire 65cm up from the ground on the outside and offset by 15 cm. This stops us jumping up. Power with battery or mains and take extra care around gates or ditches. And don't bother with those strand electric fences, they are no good – we just bundle straight through! This is all a bit simplified but I'm sure you can find more detail. So there you are, the answer to your problem. Anyway must go and get a few more Tweetabix while I can. Those Minsmere guys have already started on a brand new fence. Then it’s back to worms for us. I’m fed up with all them bones anyway. 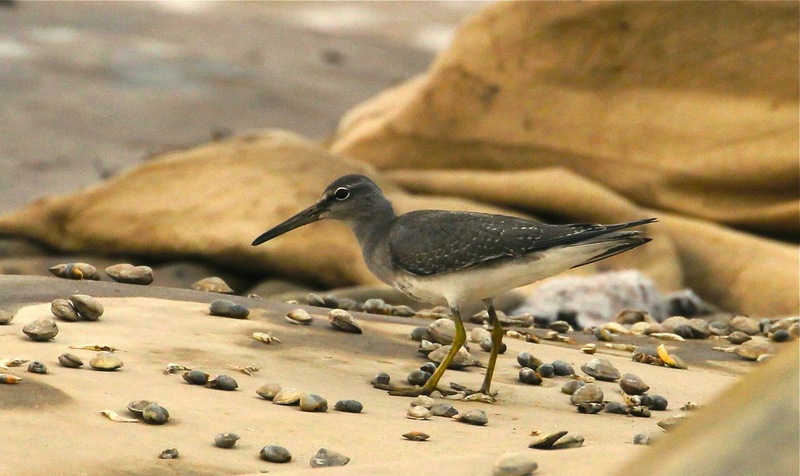 is located in the mouth of the Yangtze River and is a major staging post for waders on the East Asian-Australasian flyway, particularly important for Great Knot, Far Eastern Curlew and Nordmann’s Greenshank. The project aims to firstly eradicate, by cutting and flooding, invasive non-native Spartina alterniflora that has spread across 16 km2 of mudflats, and secondly, to create habitats to support the priority species within the 25 km2 project area; waders, wildfowl, cranes and reedbed specialists such as Reed Parrotbill. The current visit provides an opportunity to assess the breeding birds of the reserve. 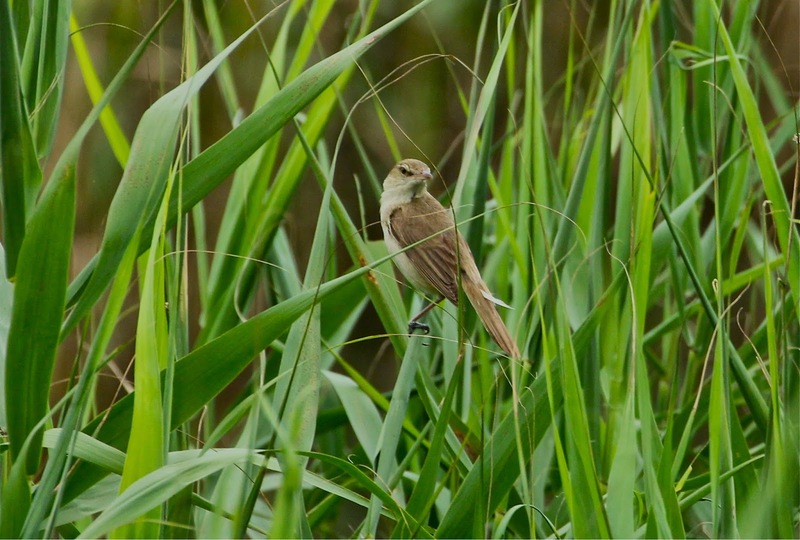 Apart from the star turn, the Reed Parrotbill, the reedbeds support large numbers of Oriental Reed Warblers, which in turn are the host for large numbers of Eurasian Cuckoo (but more of this story in a later post). Herons are another key group, with large numbers of Yellow Bittern as well as egrets, Purple Heron and Night Heron. We found enough Cinnamon Bitterns to suggest they are breeding in good numbers and also added Schrenck's Bittern, which may also be breeding, to the reserve list. Whiskered Tern and Pheasant-tailed Jacana are found on the pools and a selection of waders breed, including Grey-headed Lapwing, Black-winged Stilt and Kentish Plover. Views of Slaty-breasted Rail and another small crake, supposedly out of range, suggest there is more to find out about the reserve. 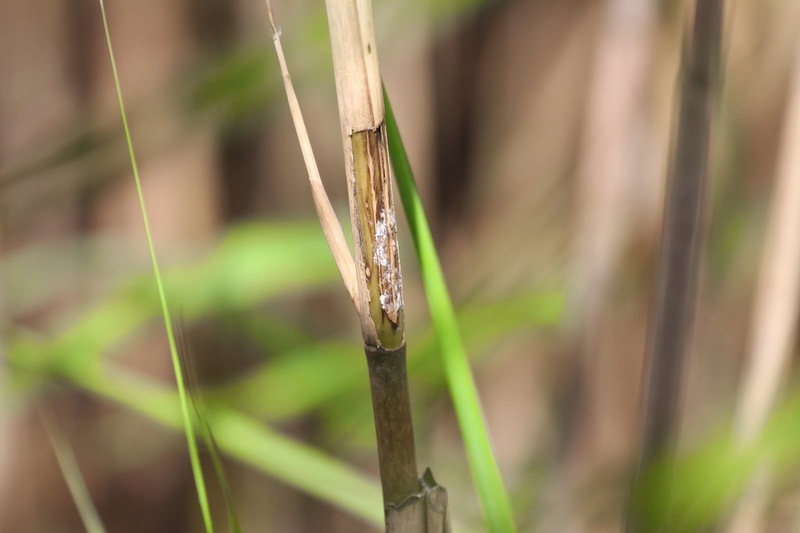 One small issue is that the newly arrived Spartina now supports it's own bird community, including the scarce Marsh Grassbird, although this is now considered to be fairly widespread in China. It is certainly numerous at Chongming; it's fluttering display flight and twirly song evident throughout. Autumn passage is just underway. 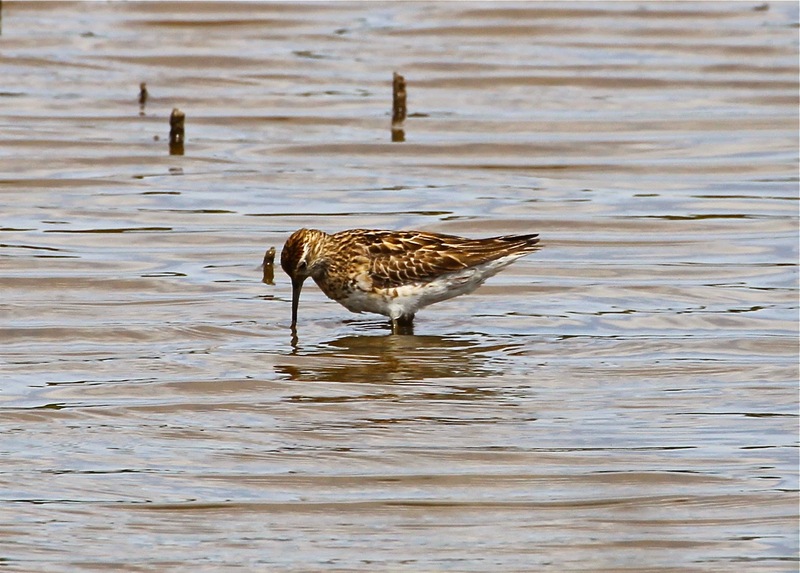 Greenshank, Red-necked Stint, Marsh Sandpiper, Far Eastern Curlew and Oriental Pratincole are the fore-runners of a deluge of waders later in the coming months. The week progresses and we discuss water regimes, salinity, salt marsh restoration, the benthic fauna and species requirements. Slowly, a detailed management programme comes together. Islands, channels and pools are shaped and located by the ecologists and passed on to the engineers to do the 'cut and fill' maths. The digital projector displays continually changing topographical maps until we reach the final design. Where will spring passage waders feed? Can we create roosting areas for Great Knot? Will that cater for Spot-billed Ducks? 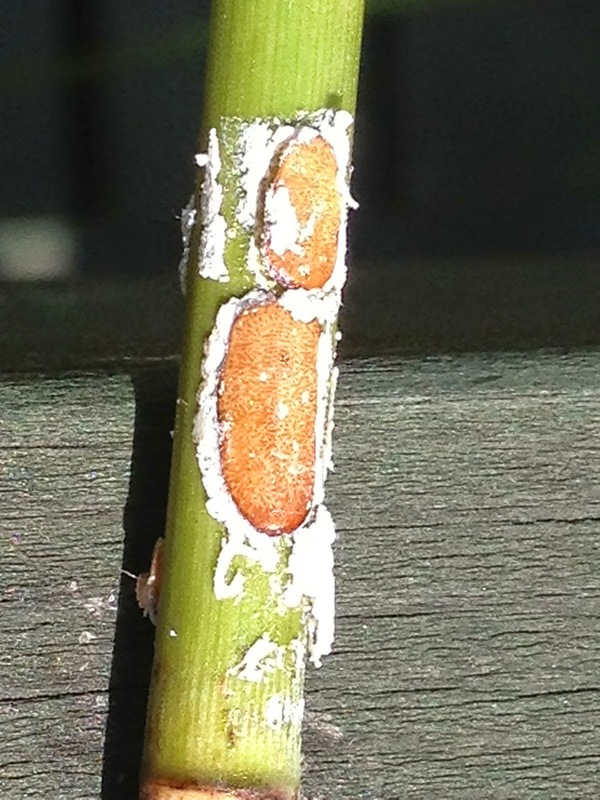 What water depths will deter the crabs from predating the Reed Warblers? Where will we aim to establish a new colony of egrets? How to entice Saunders' Gull to nest. 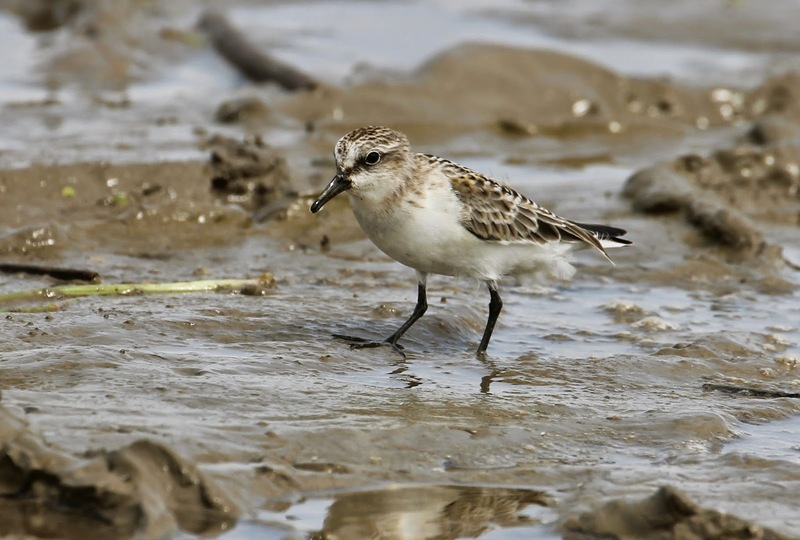 What does Spoon-billed Sandpiper feed on? Between workshops, we sampled most of the inhabitants of the reserve area; big fish, small fish, poison fish, gobies, mudskippers, freshwater shrimps, brackish shrimps, jellyfish, big clams, small clams, razor clams, winkles, crayfish, crabs, duck soup and ducks tongues. Delicious they were too! Photos; above - water gate, the perimeter ditch (! ), presenting designs. Below - Grey-tailed Tattler, Red-necked Stint, Yellow Bittern, Sharp-tailed Sandpiper.